Canon has announced firmware updates for the EOS C100, EOS C100 Mark II, EOS C700, XC10, XC15 and ME20F-SH cameras. Canon XC10 Firmware Version 1.0.3.0 incorporates the following enhancement. Canon XC15 Firmware Version 1.0.1.0 incorporates the following enhancement. Canon EOS C100 Firmware Version 1.0.8.1.00 incorporates the following correction. Manual Iris control via the camera’s control dial on the grip. Zoom operation via the joystick on the camera’s. Operation of REC start/stop via the lens’s grip unit. *2 When you initialize a Capture Drive with the main recording format set to [ProRes (Capture Drive)], the recordable space will be reduced to approximately half of the Capture Drive’s nominal capacity to ensure a highly reliable format thanks to the use of multi-stream processing. *3 For the latest Firmware Version please check Codex Digital’s website. Canon ME20F-SH Firmware Version 1.0.3.1.00 incorporates the following enhancements. Manual Iris control via the camera’s joystick. * ND Filter can also be set manually. • When the frame rate is set to 59.94P (NTSC) or 50.00P (PAL), the 3G/HD-SDI 1 / MONITOR terminal can be set to output interlaced signal. * When using this setting 3G/HD-SDI 2 will output progressive signal. Before I left on my trip, I reported Canon will be announcing a new firmware update to the EOS-5D Mark IV camera. Now there is more info on this upgrade. More to come. 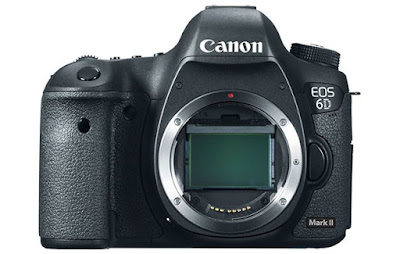 When Will the Canon EOS-6D Mark II Camera Be Announced? 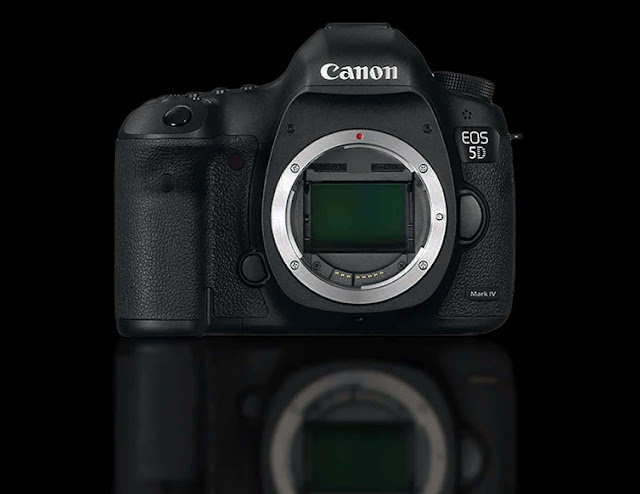 My latest information tells me the Canon's EOS-6D Mark II full frame camera is not expected to be announced around NAB in April, 2017. Instead, it will be closer to late Q2 or early Q3. Keep checking back for the latest news as I receive them. 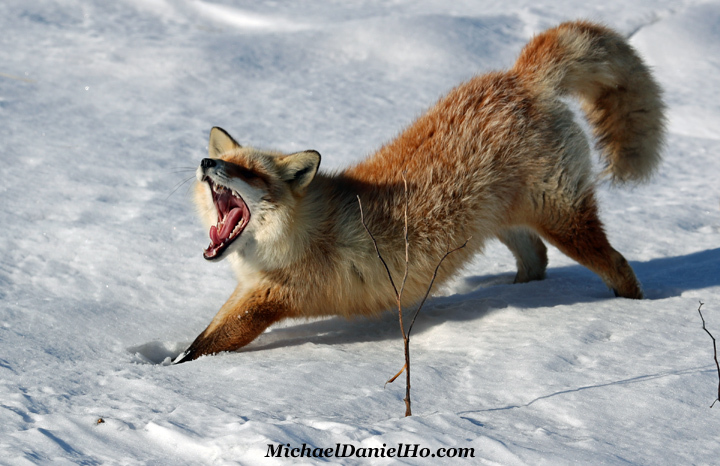 My readers know I am The Wildlife Ho-tographer and have used Canon equipment for over a quarter of a century. 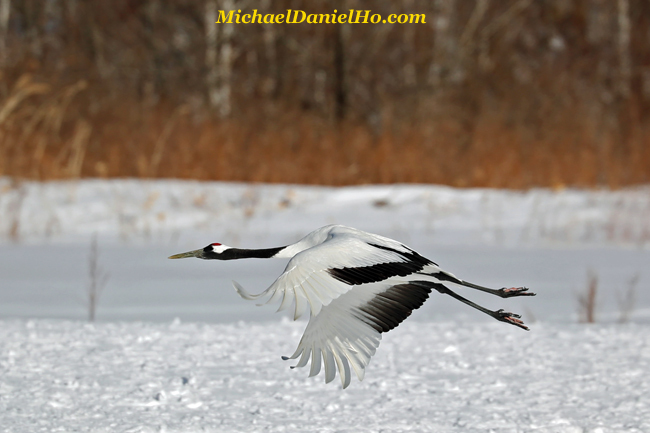 Throughout the years, I have embarked on many worldwide photo tours testing numerous pieces of Canon equipment. 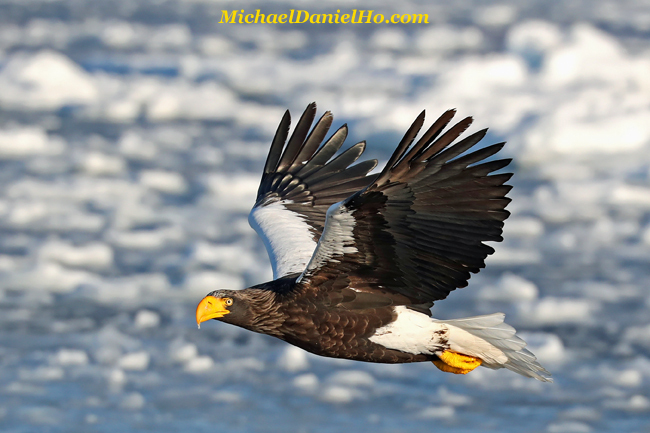 I recently came back from a Wildlife Photo Tour of Japan with the EOS-1D X Mark II camera. My favorite Canon lenses are the EF 200-400mm f/4L IS USM Extender 1.4x, EF 100-400mm f/4.5-5.6L IS II and EF 400mm f/4 DO IS II. They are all great performers in wildlife photography. 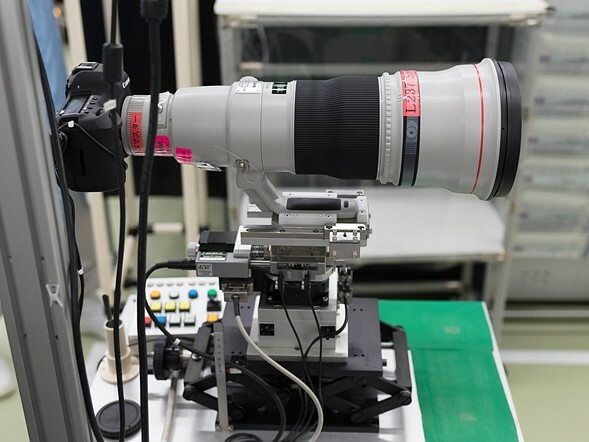 DPReview recently visited Canon's Utsunomiya lens factory and interviewed the top management at the plant. The team included the Plant Manager, Mr. Kenichi Izuki, the Deputy Chief Executive of Image Communication Products Operations, Mr. Masato Okada and the Deputy Group Executive of Image Communication Products Operations, Mr. Shingo Hayakawa. They were asked to name their favorite lens designs. Canon announced the EOS Rebel T7i, EOS-77D and EOS-M6 cameras recently. They are scheduled to be shipped starting next week. The Apple iPhone 8 and the Samsung Galaxy S8 are two of the most anticipated events in the smartphone world this year. As expected, Samsung is planning to steal some thunder from Apple by announcing their Galaxy S8 and the replacement to the 'disastrous' Note 7 some time in August. My readers know smartphones and their increasingly good cameras are taking sales away from point-n-shoot models. Recent figures show camera sales are still declining and the low end segment are in particular disarray. Is the traditional camera's survival threatened by the smartphone? The big rumor is that the iPhone 8 is going to sport a curved AMOLED display instead of a the usual flat LCD panel, according to analyst Ming-Chi Kuo. We've all seen curved AMOLED displays before in the Samsung Galaxy S7 Edge and, soon, the Samsung Galaxy S8. iPhone 8's curve may be less dramatic, but still cooler looking than a completely flat phone. There are other exciting benefits to an AMOLED display replacing the normal IPS LCD. It can deliver better contrast, more vibrant colors and include a battery-saving always-on display. It's also a better suited for VR and AR. This has also more recently been rumored by sources, claiming that a curved AMOLED display is one of more than ten prototypes that Apple is considering - and that the phone could even have a higher-than-QHD resolution. Who's going to help Apple push all of those extra pixels? Sharp or Samsung itself could supply the OLED screens. It may depend on who can deliver more in time. You might not see the fancy, new OLED display on every iPhone 8 model due to supply issues. Thus, Apple may include it on just one iPhone 8 Plus version. Depending on how it all shakes out with Sharp and Samsung, Apple may reserve the AMOLED display for just the iPhone 8 Plus, or a separate higher-end 8 Plus Edition, luring you into buying the more phone instead of the smaller iPhone 8. How big will the iPhone 8 screen size be? The rumors for this are all over the place, but everything says it'll be larger at the top end, up to 5.8 inches. From what we can surmise, there'll be a 4.7-inch, 5.5-inch and 5.8-inch iPhone 8, the latter being the one with a curved AMOLED display. But it won't be too big. There's been talk of axing the home button and building the TouchID fingerprint sensor into the screen itself. This rumor dates back almost two years. Doing this would eliminate the otherwise useless bezel around the screen. "The entire face will be the display," claims Apple blogger John Gruber. "And the Touch ID sensor will be somehow embedded in the display. The front-facing camera will somehow be embedded in the display. The speaker, everything. All the sensors will somehow be behind the display." An all-screen display is what we've seen from Chinese phone maker Xiaomi and its Mi Max, and the Samsung Galaxy S8 and Galaxy S8 Plus may mimic it. An unearthed Apple patent shows this idea in action, eliminating the phone's bezels in the process. Another patent has since emerged, showing a similar concept, so it's certainly something Apple's at least thinking about. If Apple ditches the home button, it could replace it with a 'function area,' with virtual keys, similar to the MacBook Pro's Touch Bar, according to one report. Apple tweaked the home button with the iPhone 7, making it no longer physically click when pressed, so this could be the next step. On the other hand, you could argue that since Apple only just tweaked the button it's unlikely to ditch it so soon. There's also the question of whether it would be able to produce enough of these function area panels. Apple currently uses Japan Display for many of its screens, and while Japan Display is planning to start building OLED panels they're not expected to arrive before 2018. No surprise, one rumor suggestions one the higher-end model will have these new screen features, according to the latest supply chain sources. This third, premium model is currently dubbed "Ferrari", and this model alone may have an embedded fingerprint scanner and an edge-to-edge OLED display. Looking even further ahead we might see a flexible or even foldable iPhone, as Patently Apple has found a patent for just such a device, and more recently another similar patent has turned up, but this is likely a long way out yet – as in iPhone 10 or iPhone X territory. TechRadar's take: A move to OLED sooner or later seems inevitable, but Apple might only use the panels for the iPhone 8 Plus in 2017, if it can't source enough. A larger, sharper screen seems likely, but plans to build Touch ID into the screen sound ambitious, and while Apple is seemingly working on this, we're not convinced the tech will be ready for the iPhone 8. Just when Apple has nearly perfected the aluminum unibody phone with the iPhone 7, it's now expected to be moving onto an all-glass design. Yes, the tenth anniversary iPhone 8 is heavily rumored to debut a a curved glass back (echoing the front curved display), according to analyst Ming-Chi Kuo. The glass iPhone 8 rumor has since been given more weight, with the CEO of the company behind the iPhone's metal casing claiming one model of the phone "will adopt glass casing next year." It would still require a metal frame apparently, which makes it sound a lot like the Samsung Galaxy S7 Edge, especially if both panels are curved. That lines up with a claim from a source that's proved reliable in the past that Apple is experimenting with a "glass sandwich design." Delicious, right? And yet another source also points to a glass back, with a stainless steel frame in place of the aluminum Apple currently uses in its phones. Here's where the iPhone 8 rumors conflict: Right now, we're unsure if the design is being readied exclusively for the higher-end 5.8-inch iPhone 8 Plus, or if all iPhone 8 models are due for the glass upgrade, like Ming-Chi Kuo suggests. It could be that the smaller iPhone 8 (or what may be the iPhone 7S and iPhone 7S Plus) designs will remain relatively unchanged other a new color. The last major iPhone 8 design rumor is that the new phone could get a little more waterproof. It may jump from an IP67 to IP68 rating, notes The Investor. TechRadar's take: Expect a big change to the design of the phone. It's too early to say if every iPhone 8 size will sport the curved glass look and extra waterproof features, but we think the days of an aluminum iPhone are numbered. It's almost inevitable. Cook, in its quarterly investor calls, has become captivated with the idea of augmented reality (AR), or what Microsoft calls "mixed reality," (so you should fully expect Apple to call it augmented reality instead). What can Apple do with AR? You may be able to point your iPhone 8 at an object and have it recognized, claims one source “familiar with the matter.” The camera app may be able to recognize and manipulate faces in the future, too. Let's give you a more concrete example (and source). Former Apple analyst Gene Munster thinks you'll be able to find your seats in a crowded stadium or the groceries you need among all of the aisles by looking at your phone. AR is supposed to map out where you want to go, and combined with Apple Pay, it could be a big winner for the iPhone 8 on forward, according to Munster. "Your phone slowly going away and being replaced by AR," he said in an interview with Cheddar. "This is beyond Pokemon." There's also talk from Korea that Apple is working with LG on a "3D photographing" module for the iPhone 8, which could be used to add three-dimensional effects and work with the rumored augmented reality features. What about your everyday photography? That could be upgraded, too, with the second lens on the dual lens iPhone 8 Plus gaining optical image stabilization. But don't expect a bump beyond the 12MP sweet spot that Apple and other phone manufacturers have found, and don't look for the dual lens snapper to come to the standard iPhone 8, according to analyst Ming-Chi Kuo. It's likely to once again be limited to the higher-end iPhone 8 Plus and the AMOLED variant. We don't expect much change from the front-facing camera resolution, as Apple just upped to 7MP iSight camera for the iPhone 7. But as selfie photos become increasingly important, it could include extra camera focusing tricks to make each and every pixel count. TechRadar's take: Apple is giddy with excitement about the prospects of AR, and that may be the hot new camera feature going forward. We already got a big dual-lens camera upgrade last year. It may get better this year, but not be as dramatic of a change. Instead expect Apple to tout the benefits of augmented reality. Apple may have a plan to include extra battery life in the iPhone 8, taking on a stacked mainboard internal design, according to one analyst. It may fill all of the saved space with additional battery capacity and also finally support wireless charging without that aluminum design blocking the transfer of energy (that's why glass and plastic phones can do wireless charging and metal phones do not). Foxconn is reportedly looking into the tech for Apple and, after all, without the headphone jack, Apple is one step closer to being free of cables completely. This is surely the next step., even if there are some doubters about these plans. Apple might go beyond rivals and offer a truly wireless charger that works at up to 15ft, with no contact required between the device and the power source. There's evidence that Apple has been looking into this tech, with Energous, the company behind it, supposedly working with a "tier 1" smartphone maker. It added that it's "working with one of the largest consumer electronic companies in the world" and it will be shipping a product by the end of 2017. Energous has also received a $10 million investment from Dialog Semiconductor, according to BGR, and Dialog just so happens to be a company that works primarily with Apple. We've also heard from an analyst note, obtained by 9to5Mac, that all models of the iPhone 8 will have wireless charging - but it sounds like this will be standard rather than long-distance charging. Apple may also not include a wireless charger in the box. And when you plug the iPhone 8 in, you might not do so via a Lightning connector, with a report suggesting that Apple could swap that for a USB-C connection - though it's not clear whether the report means a USB-C port will be added to the handset, or whether the other end of the charging cable will be USB-C, instead of USB A, which seems more likely. Wireless charging and improved battery life are likely – but don't count on being able to charge from a distance, at least not on the iPhone 8. Apple may save this truly revolutionary for the iPhone 9 or iPhone 10, aka the iPhone X.
iPhone 8 is almost certainly going to transition us from iOS 10 to iOS 11, and undergo three months of beta testing following WWDC 2017 in June. The internal iPhone 8 specs are also undoubtedly going to take another step forward with the Apple A11 chipset that's more powerful than the current A10. What do iOS 11 and the A11 System on a Chip mean for iPhone 8? We may see finally Control Center customizations and Today menu widgets become refined. iPhone 8 running iOS 11 is also likely to debut always-on screen settings (what will be displayed?) and an improved Mail app (hyperlinking text, finally?). The new chipset, either called Apple A11 or Apple A11 Fusion, may stick with a quad-core processor since the iPhone 7 just launched with that. Yes, octa-core processors is all the rage, but Apple has shied away from touting big numbers and instead focused on boosting performance. It's done just fine. The same goes for RAM. It may stick with 2GB for the iPhone 8 and 3GB for the dual-camera iPhone 8 Plus. Of Apple's products, only the iPad Pro 12.9 has 4GB. In fact, the iPhone 8 may go for one smaller number: 10 nanometer. The move from the 16nm A10 Fusion to a 10nm A11 Fusion would make significant gains. Qualcomm's 10nm Snapdragon 835 chip, for example, requires less energy and exhibits a performance boost on 16nm chips. Apple will want to rival this chip. While Apple doesn't use Qualcomm's processor, it has used the San Diego firm's modem. But, as of the iPhone 7 and 7 Plus, it has dual sourced the modem: some from Intel (GSM-only models [AT&T, T-Mobile and almost every other carrier]) and others from Qualcomm (GSM+CDMA [Verizon and Sprint]. There's an ongoing lawsuit between Apple and Qualcomm for overcharging of standard issue patents, so there's a chance iPhone 8 could ditch Qualcomm altogether. Couple this with the fact that Intel just announced a CDMA-capable modem that makes it compatible with Verizon and Sprint in the US, and Qualcomm may have just exiled itself from the new iPhone for 2017. TechRadar's take: The iPhone 8 is naturally going to be faster, but its speed boost may be wrapped in another quad-core processor and coupled with 3GB and 2GB of RAM. A lot of the specs depend on whether or not Apple is ready to show us the power of VR and AR. iOS 11 is almost a given, and we fully expect Apple to continue to harness the power of developers for tools like Siri and menu customizations. It might not just be the screen you'll be interacting with on the iPhone 8, as Apple is also rumored to be working on a "new sensing technology," which would allow the phone to respond when you touch any side of it. Theoretically that could be used for example to change the screen brightness by swiping along the edge, or take a picture by tapping it. One other rumored feature of the iPhone 8 is an iris scanner, which wouldn't be much of a surprise given that the Samsung Galaxy Note 7 had one and the Galaxy S8 is said to get the same. Facial recognition of some kind is looking ever more likely, as it's been rumored again, and Apple's even acquired a company which works in that area. The iPhone 8 might tighten up security in other ways too, as an Apple patent details a system that could get a thief's fingerprints and photo, as well as recording audio, video and their location. We might also see a Smart Connector on the iPhone 8. This was rumored for inclusion on the iPhone 7 Pro – a phone which never launched, but with numerous pictures of a phone sporting the Connector it seems likely that Apple really was considering it, so the feature might be ready by next year. We've already seen a Smart Connector on the iPad Pro, where it's primarily used to attach accessories, like keyboards. TechRadar's take: The iPhone 8 might have an iris scanner, but only if Apple can make it fast to use. A Smart Connector is also a possibility, but seems a less useful fit than on an iPad Pro. The iPhone 8 price may throw us for a curve ball come September since Apple is planning an all-new smartphone design. Here are the price rumors. The smaller iPhone 8 could cost just as much as the 4.7-inch iPhone 7, running $649 in the US, £599 in the UK and AU$1,079 in Australia. That price really hasn't changed in the US, and it recently went up in the UK (last year) and Australia (two years ago). The iPhone 8 Plus price is also unexpected to change based on the fact that the iPhone 7 Plus just saw a price hike (even in the US) to $769, £719 and AU$1,269. We don't need another price increase there. Instead, Apple may launch an iPhone 8 Edition with a curved display with an OLED (instead of LCD panel). That could send the bill of sale (for the parts) up 67%, and that expense may get passed onto you, the consumer. The iPhone 8 price really depends on three things. Which version of the phone do you want? Is Apple releasing a third, more expensive edition with a fancy OLED display? And which storage capacities remain in 2017? That last question may change dramatically depending on how Apple decides the future of the 32GB iPhone 8. Following the CP+ 2017 show in Japan, DP Review was invited to Canon's Utsunomiya lens factory for a tour and interview the top management at the plant. The team included the Plant Manager, Mr. Kenichi Izuki, the Deputy Chief Executive of Image Communication Products Operations, Mr. Masato Okada and the Deputy Group Executive of Image Communication Products Operations, Mr. Shingo Hayakawa. My readers know Canon recently surpassed the 120th million copy of EF lens production. For a preview of what is coming from Canon for the remainder of 2017 and beyond, read my earlier post. The Utsunomiya plant is where all Canon's L series, cinema, and broadcast lenses are produced. It's also where all Canon lenses are designed. Many of those designs can be attributed to the three men pictured above. In fact just before we started the interview Mr Izuki informed us that he had been lead designer of the EF 35mm F2 IS lens we'd chosen to document the factory tour. So there's also a pretty good chance you have one of them to thank for your favorite Canon glass! Please note that this interview was conducted through an interpreter, and has been edited slightly for clarity and flow. What percentage of L lenses are manufactured in the Utsunomiya lens plant? Because this is the 'mother' factory, 100% of L lenses are made here. How many different lenses can be manufactured simultaneously in this plant? Basically, we create all lenses every day [including L-series EF, Cinema EOS and broadcast]. The only exception is some of the broadcast lenses. Which lenses in particular are the most difficult to manufacture and why? Any large super telephoto lenses because of the size of the glass elements. In terms of skill required for lens assembly: the TV broadcast lenses are most difficult. How many lenses are produced at this lens plant every year, both in terms of types of lenses and total units? We do not disclose total production for this plant. That said, Canon has produced a total of 120 million lenses over the years. Of course, many of those are kit lenses, which are not produced here, but in our facility in Taiwan. Tell us a little bit about the history of the plant. The facility as a whole has been here for forty years, however prior to 2005, we were located in an older building on the other side of the property. And the land where the current plant sits was initially owned by the Du Pont family. When they returned it to the prefecture, we bought it. The current lens facility opened in 2005. When we moved in we completely revamped our lens-making machines and devices. Not all, but the majority. This helped to push [us] to a higher standard of quality. Over the past 40 years, lenses have changed a lot, with autofocus introduced, aspherics, etc., what was the largest paradigm shift in lens technology? We are reaching the 30th anniversary of the introduction of the EOS line. It was at that time, in 1987, that we moved into autofocus. When we did that, I believe we were the first ones to go fully-electronic mount autofocus. Because the motors were built into the lens we had a significant competitive edge. 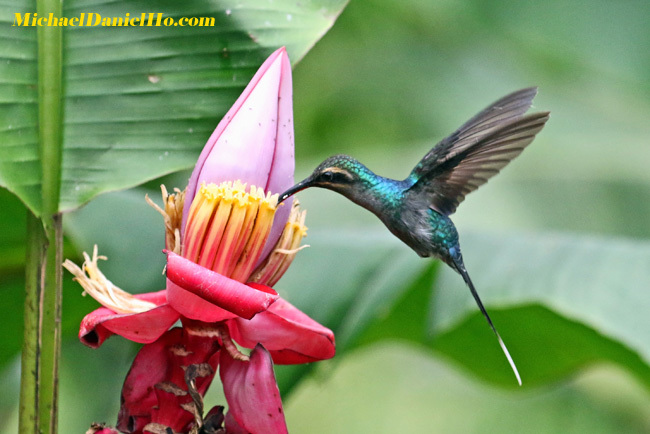 As DSLR resolution increases, it can be a challenge to achieve precise focus because AF errors are more noticeable. How do you reduce this risk in the manufacturing and quality control process? Overall precision is something customers are increasingly requiring. In this factory, we have increased the level of precision of our machines so that lenses have more accurate autofocus. A lens going through QC testing. Information from the test will be saved on a chip in the lens. During the tour it was mentioned that Canon lenses now store their quality control test data using on-board memory. 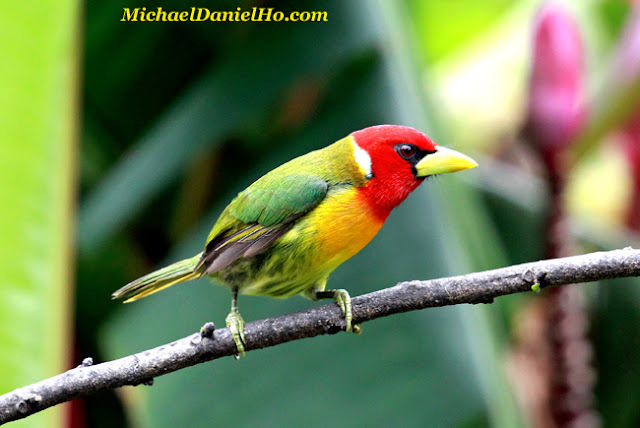 Can that data be used to improve autofocus reliability? We do store data from final lens testing on each unit. I won’t be able to speak in greater detail other than saying, yes, in theory, that data could be used to achieve higher autofocus performance [better AF precision] with a DSLR. How long does it take a lens like the Canon EF 16-35mm f/2.8L III USM to make its way from start to finish in the assembly line? From raw material being polished, to the final tested product being boxed: about 24 hours of work, in theory. But the physical production would actually take longer. This is because we are producing parts in batches and there are machines that need to be fitted. These variables aside, if you take the actual time of labor, assembly and packaging, it is about 24 hours. You mentioned you were looking to hit an 80% automation rate in this facility. What kind of efficiency gain does that represent? It’s difficult to say in terms of time, but I can say it use to take about 70 people to make a lens like that prior to automation, now we need about 6 or 7. As production becomes more automated will you require fewer skilled manual workers? In one sense yes. But it’s not about firing the rest of these people, it’s about allowing them the time to build up their skills. This way they can face challenges and difficulties like increasing precision and performance. So we’ve essentially been able to allocate these workers to a different environment. A lens in the final assembly process. It can take 25-30 years to become an Assembly Meister at Canon's Utsunomiya plant. Typically how long does someone train before they attain the title of 'Meister'? In terms of the level of 'Lens Meister,' it would take 30-35 years. For 'Assembly Meisters", 25-30 years. Now that the process for assembly, element polishing and quality control is so automated, we're curious how many lenses pass QC the first time vs those that have to go back for re-calibration. In terms of maintaining a level of quality before going into mass production, we do a lot of checking and scenario building [using a super computer] to make sure everything will go right. Once a lens goes into mass production we can safely say that we have seen no lenses returned for further calibration. What impact did the 2011 have on this facility and how long did it take to recover? A lot of the ceilings came down. We took a big hit in that regard. But, we were able to come back into operation within about 2 to 3 months. While not the most exciting photo, if you look very carefully, you might see some minor impressions on the linoleum. This is (subtle) evidence of the 2011 earthquake, which caused some ceilings to collapse. The yellow tape line is used by computerized robots in the factory. Did you implement any changes as a result of the earthquake? We have fortified the building, so that it is more earthquake-proof. And the assembly tools we use are put together in such as way that they are shake-proof. Are there major differences in how you QC test broadcast and cinema lenses vs EF lenses? The concept for testing is basically the same. But, in terms of broadcast/cinema lenses there are some unique customizations that we offer depending on the particular cameraman or filmmaker. If they want to zoom by hand, for instance, we can accommodate the pressure of the mechanism to their requirements. A lot of your users use EF lenses for video creation. Has that changed the way you design some EF lenses? In terms of stills shooter, when it comes to autofocus, the faster the better. On the other hand, videographers tend to require a variance in autofocus speed. Sometimes they want a slow effect. So we had to create a motor that could actually do both fast and slow focus. This is why we introduced Nano-USM. 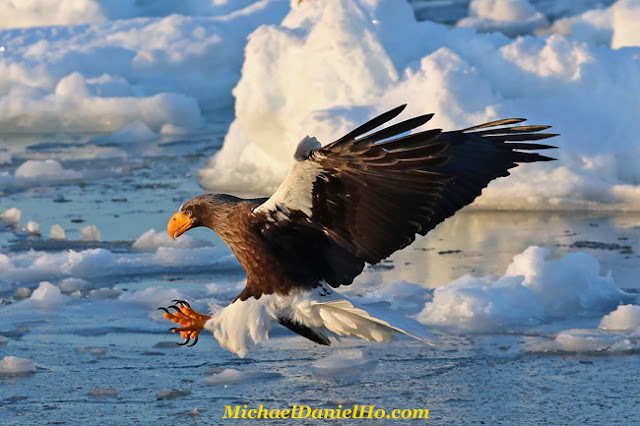 It's in both the 18-135mm F3.5-5.6 IS USM and the 70-300mm F4-5.6 IS II USM. Will that kind of autofocus be used more in the future as video becomes more of a requirement for users? At any given time, how many new lenses are in development at this facility? I can not give you a number, unfortunately. But I can say that new lenses are in development as we speak. So I hope you look forward to them. Let me begin by saying how grateful I was to be given access to Canon's lens factory and what an honor and privilege it was to sit down and interview the creators of some of Canon's most legendary glass. In my six and a half years writing about photography, this was one of my most memorable and rewarding experiences. As you might expect, there were nearly endless points of fascination. Some of which are covered in this interview, others in our factory tour slideshow. Something that particularly interested me is the fact that all the information from a lens' final calibration and quality control check is saved on a chip within the lens itself. The idea here is this information can been used, in theory, when a lens comes back in for cleaning or recalibration. It also means that at some point, perhaps camera bodies will be able to access this information, which could lead to better AF precision. This is solid forward thinking on Canon's part. I was also intrigued to find that Canon manufactures every L lens in the same factory. Not only that but every current lens in the L series is being made every day. As you might imagine, security at the facility is very tight. 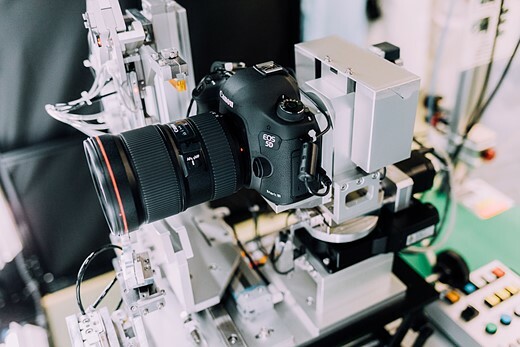 "Canon, it seems, recognizes just how important pushing lens development is"
Also hearing Canon put a concrete number on their automation goals (80%) was interesting. Of course you could read that as Canon displacing workers with machines, but throughout the tour and the interview, our guides made it clear that automation wasn't about replacing workers, rather dedicating more workers to research and development. Canon, it seems, recognizes just how important pushing lens development is, all while maintaining a high level of quality control. Automation offers just this. And I'm not ordinarily one to be starstruck, but when Mr. Izuki told me he designed the Canon EF 35mm F2 IS, my jaw dropped a little. There's nothing quite like standing of front of the creator of one of your favorite lenses. Speaking of favorites, we also asked Mr. Hayakawa, Mr Okada and Mr Izuki which Canon lens they've designed/worked on over the years they are most proud of. We got some great answers. We'll be posting those in a separate article soon, so stay tuned! United Kingdom, Republic of Ireland, 17th March 2017 – For the first time ever, Canon UK is launching a range of branded clothing and accessories. From vintage camera t-shirts to umbrellas and bibs, you can get fully kitted out this spring. A selection of the new merchandise has been designed to celebrate the 30th anniversary of the EOS system and features cameras from the EOS archive. 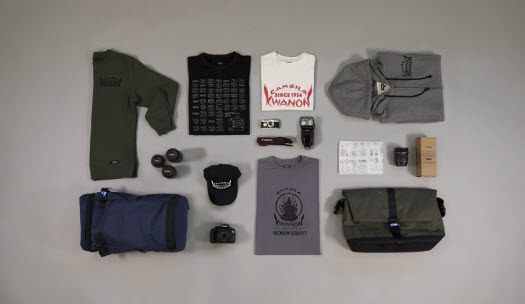 Plus, the vintage series includes designs from the original Canon camera “Kwanon” logo, first introduced in 1934. The new collection includes clothing such as t-shirts, jackets, sweaters and hoodies, as well as accessories like umbrellas, baby bibs, hats and limited edition camera bags. Camera fans will also be able to get their hands on a miniature Hansa Canon camera model, replicated on Canon’s first production model and Japan’s first high-quality 35mm camera launched in 1936. The exciting new range will be available from 18th March from Canon’s online store and on display on the Canon stand at The Photography Show (NEC, Birmingham, 18th – 22nd March) for visitors to experience first-hand. This year, Canon is celebrating the 30th anniversary of the launch of its Electro Optical System (EOS), which includes EOS-series interchangeable-lens cameras and a diverse range of system accessories. The system debuted in March 1987 with the launch of the EOS 650 SLR camera and EF lenses, making EOS cameras the World’s first to incorporate an electronic mount system, representing a new generation of auto focus SLR cameras. EOS is an acronym of “Electro Optical System” and is also fittingly the name of the Greek goddess of dawn. A total of 98 EOS models have been produced since 1987 (35 film cameras and 63 digital). 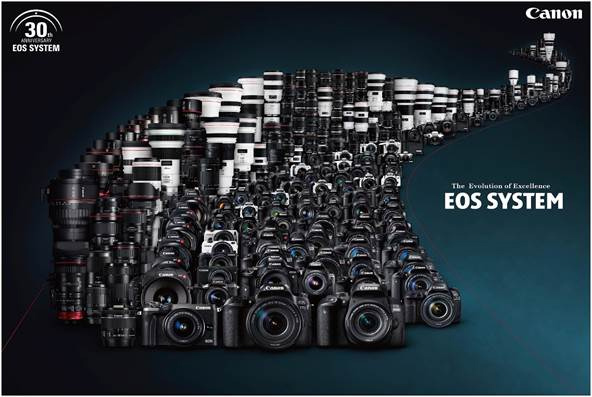 Currently, the EOS system, including the Cinema EOS system, comprises 24 models with a selection of 97 EF lenses. To mark this milestone, Canon is displaying a range of cameras and lenses from the EOS archive on its stand at The Photography Show, including the EOS 650 and the EF 1200mm f/5.6L USM, the world’s longest focal length and largest aperture lens. Visit Canon on stand D141/E131 at The Photography Show from 18th – 21st March at the NEC in Birmingham. For what to expect from Canon for the remainder of 2017 and beyond, read my earlier post. Canon has only two EF-S prime lens in their lineup, 24mm f/2.8 and 60mm f/2.8. They are about to add a third one next month. The EF-S 35mm f/2.8 IS STM. This new lens will have both IS and STM. For a look at what is expected to come from Canon for the remainder of 2017 and beyond, take a look at my earlier post. Adobe has released a new update to Camera RAW and Lightroom CC. 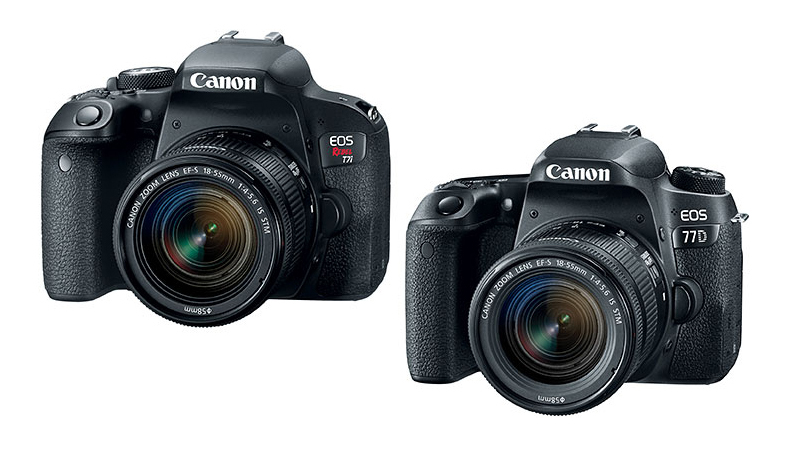 Just a quick note to let me readers know there is a distinct possibility the Canon EOS-5Ds and EOS-5Ds R cameras' replacement will revert back to one model but this time Canon may decide to deal a big blow to the few remaining and struggling Medium Format manufacturers by putting a sensor that will pack significantly more megapixels than their current champ - 50MP EOS-5Ds. Canon has demonstrated the 120MP and 250MP APS-H sensors at the Expo Show in 2015. They clearly have the technology to put a new sensor in a new camera that can match any medium format body on the market today. Don't expect any super mega pixel camera to come before at the earliest mid 2018. Canon's EOS-6D Mark II full frame camera is expected to be announced around NAB in April, 2017 or at the latest, in late Q2 along with the EOS Rebel SL2 and PowerShot 730 HS cameras. These cameras have been registered with certification agencies in a few countries. 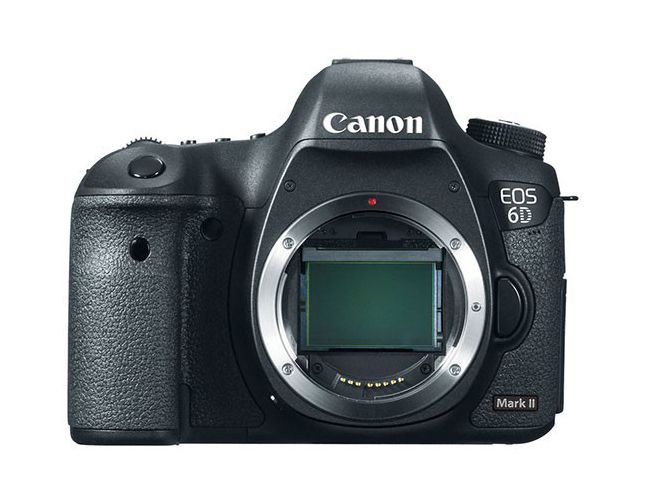 Also, Canon is expected to release a new firmware upgrade to the EOS-5D Mark IV camera some time before the end of Q2. It will contain the usual minor fixes to bugs and may add a new feature to the existing body. Keep checking back for the latest news as I receive them. It is no secret camera manufactures have not been doing well in the last few years. Nikon recently announced a big loss and layoffs. Medium Format companies are especially endangered. 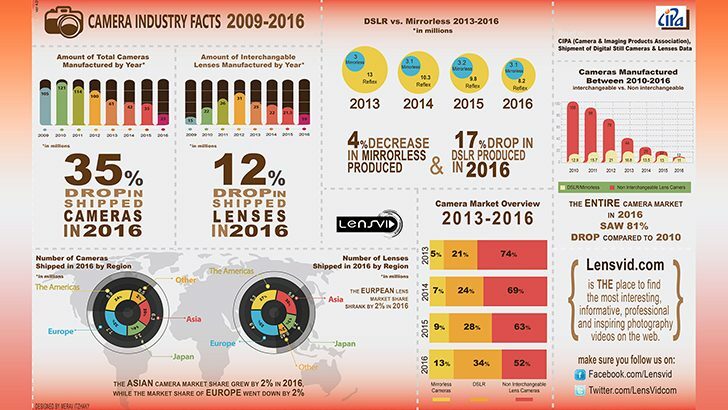 Lenvid recently released their 2009 to 2016 infographic chart showing camera and lens sales figures. The drop in point-n-shoot and DSLR cameras and lenses is still continuing. The silver lining in these disappointing sales figures for the last few years indicate the share of DSLRs has increased at the expense of compact cameras. 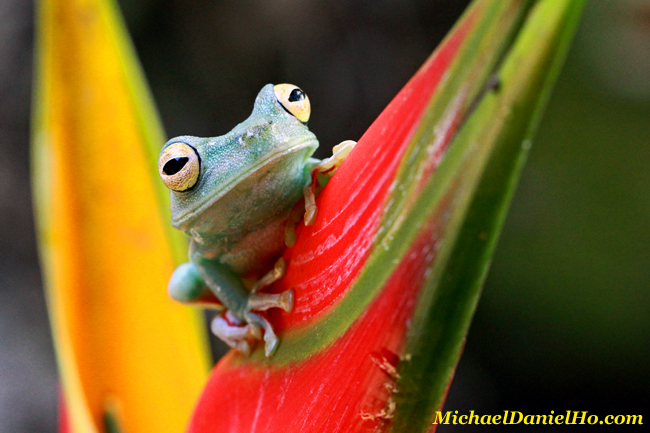 Mirrorless cameras did the best and is taking a bigger share of the total photography pie. Compact cameras are predicted to lose ground again in 2017, primarily due to advancement and popularity of smartphone cameras. Mirrorless and DSLR cameras may have seen its nadir and make a comeback this year. Generally I am in agreement with most of the findings and prediction except I expect Canon will come out of the pact much stronger. In past years, I have argued Canon has under priced its higher end models (EOS-1Ds and EOS-5Ds) and put too many features into the lower end bodies like the EOS-XXDs and EOS-6D. 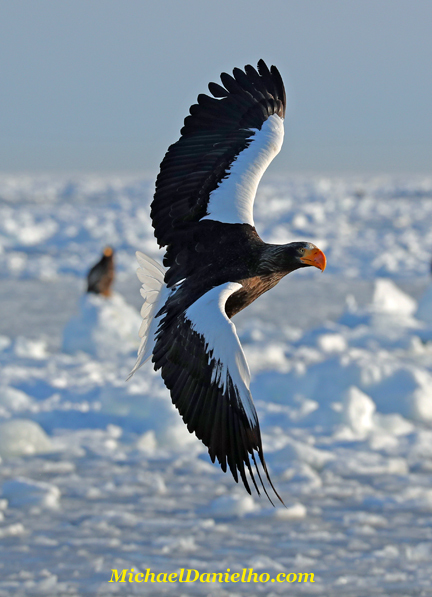 This encourages many serious and even some pro photographers to buy the EOS-5D models instead of the EOS-1D. 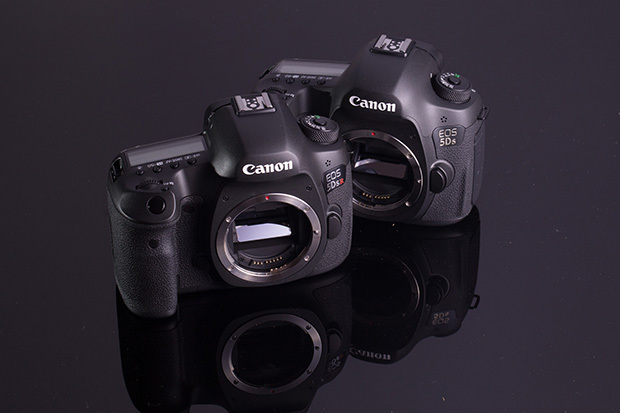 The EOS-1Ds Mark III sold for $8000 in 2008 and the EOS-5D Mark III's price was $3,500 in 2012. The latter is clearly a better camera in many ways. Loading up a camera with more features and capabilities and selling it for less may be great for consumers but hard on the bottom line for a camera manufacturer. The entire camera industry is racing to the bottom by putting more and more goodies in their lower end models and selling them for less. Unfortunately, smartphone manufacturers have the economies of scale and technology to match and beat the camera manufacturers in this game. Take a page from luxury car manufacturers. They all have entry level, medium and high end models. But in order to get some of the more advanced features, the buyers must buy the high end models or pay extra on lower end cars. That's how the car companies increase their profit margins and lure customers to trade up to more and more prestigious marques. 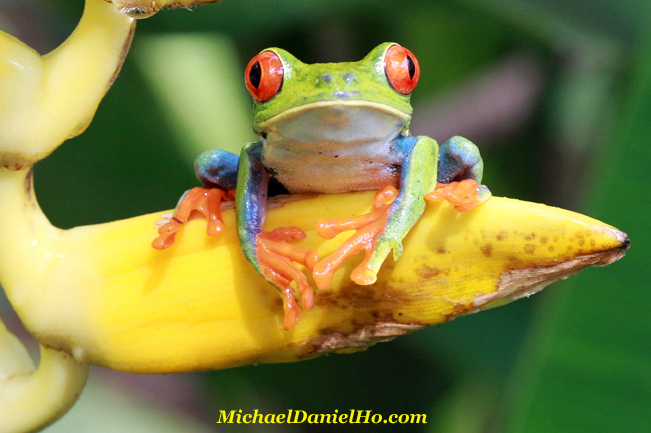 Global market for cameras will drop below 20 million cameras (1/6 the size of 2010). Downsizing and consolidation will continue for the camera industry. Fewer innovation and less funds available for R&D. The professional camera market will get the best technology but at a premium price.